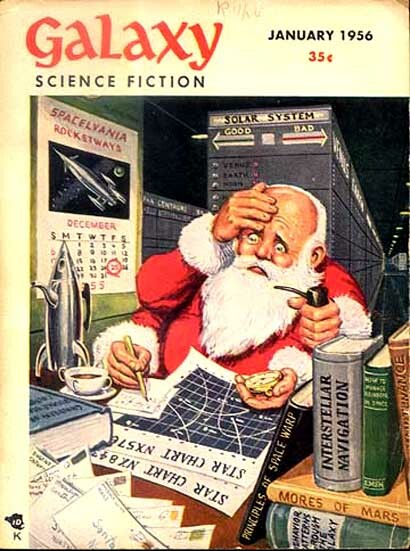 In the rush and hubbub of last minute Christmas doings, you didn’t think I’d forget Pulp Cover Friday, did you? 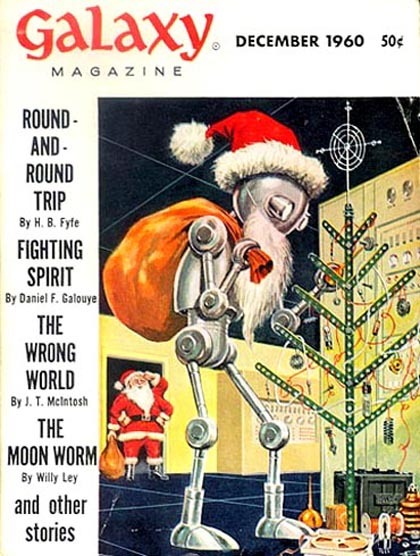 GALAXY was one of those magazines that just missed being published throughout the 1950s, it’s first issue being dated October 1950. 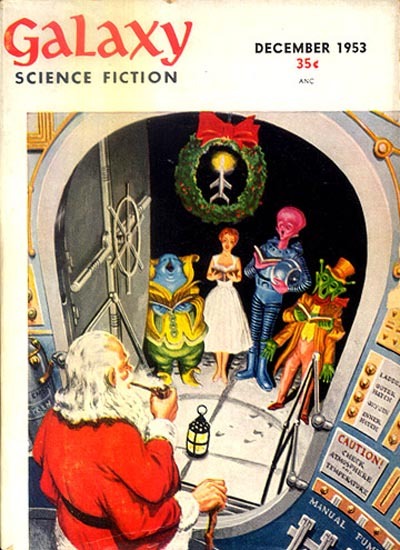 It published some fine fiction, but was not notable for really excellent art (with exceptions, of course). 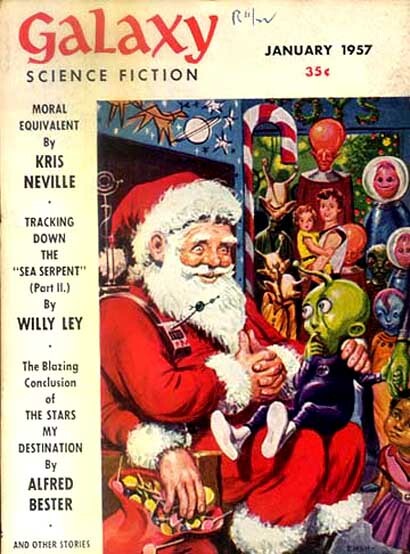 They did publish a number of Christmas covers which, in the spirit of the season, I have posted below. 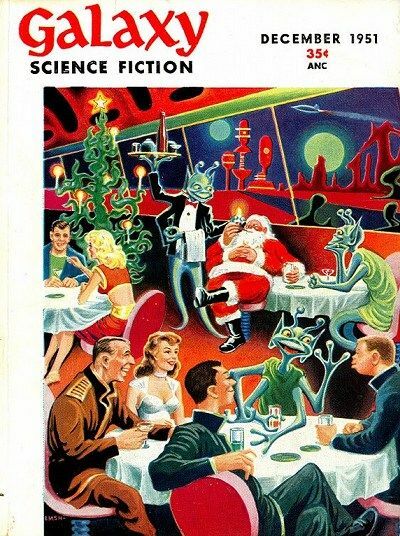 All are by Emsh (Ed Emshwiller) who did a lot of excellent covers throughout the 1950s for many mags.